The winter sale of 2018/2019 is here! Exel Floorball renamed all the equipment for the season 2016/2017 - almost every product calls P80, V60, F100 etc... What does these shortcuts mean? And what is our opinion on the Exel Vision blade? 1) Shortcuts F, P, V and S - all these shortcuts can be found at the different products. More accurately - F, P and V can be found on the Exel floorball sticks, S at the goalie equipment. And what does these letters mean? Numbers 40, 60, 80 or 100 can be found on the sticks. The meaning is easy - carbon percentage of carbon content in the shaft. For example V100 means a Vision stick made of 100% carbon fibers. The goalie equipment numbers are 60, 80 or 100. There is a different meaning - the products are devided into the Basic (60), Middle (80) and Top (100) series. For example goalie pants S100 are high quality pants for almost the professional floorball goal keepers. The new blade for the season 2016/2017, everybody was curious about the design of the blade. Developers of this blade decided to make almost a straight blade without any concavity. The forehand passes or backhand are very accurate, but when it comes to shots, it is be a little bit harder - you need to get use to this blade, but as soon as you addapt, you will be one step forward to your opponent, because the weight is only 67g. This weight makes the Vision blade one of lightest floorball blades on the market. 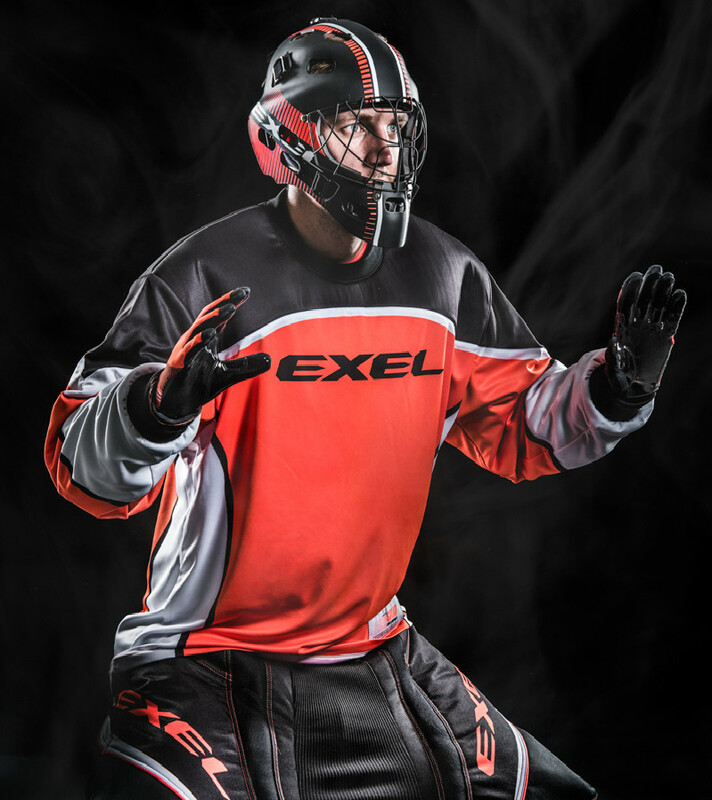 Enjoy very attractive Exel Floorball new collection.